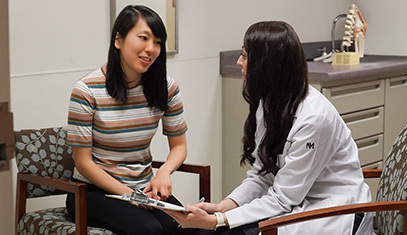 Our three-year categorical program provides excellent preparation for a career in general internal medicine, hospital medicine or one of its subspecialties. Our curriculum provides a well-balanced experience for all residents and prepares them for a career in academic medicine. See a resident’s day at a glance. See sample resident schedules; learn more about how we organize our program by year. 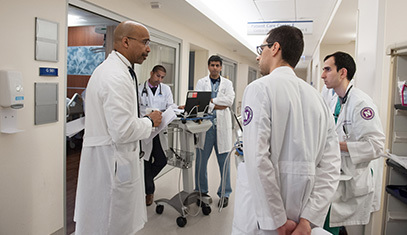 Geographically localized inpatient services provide a team-oriented approach to patient care with interdisciplinary rounds, bedside teaching and robust conferences, including daily morning report, grand rounds and a diverse noon conference series. An outpatient clinical Ambulatory Education experience that provides continuity experiences, ambulatory blocks and exposure to outstanding primary care role models. Also a transitions clinic for uninsured patients or those without a primary care doctor but in need of urgent follow-up. 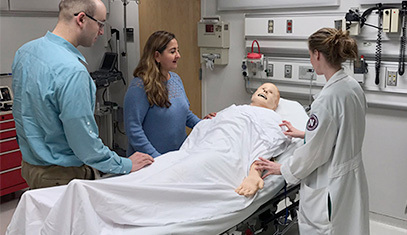 Nationally recognized Simulation Training program with curriculum in ACLS, ultrasound guided procedures (CVC placement, paracentesis) and communication skills (handoffs and goals of care) among others. Additional supplementary curriculum in social determinants of health, professionalism and women’s professional development promote a robust education in internal medicine. Academic Pathways provide in depth tailoring for academic and clinical skill development. 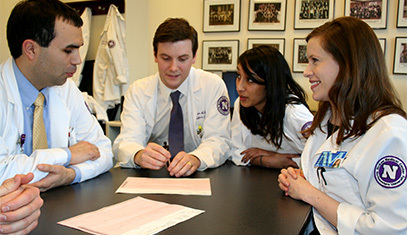 While all residents are exposed to topics from each of these pathways in the general curriculum, residents in their second and/or third years can electively participate in one or more of these one-to-two-year certificate programs.